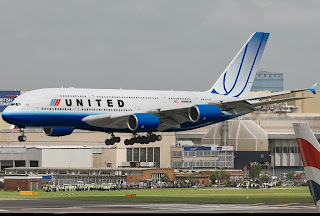 IN his continuing search for the more weird, wacky and wondrous in the world of travel, David Ellis says United Airlines, America's second largest carrier, is licking its wounds after accidentally giving away hundreds – or possibly even more – air tickets by mistake last Thursday. Social media went into overdrive when intending passengers booking flights online discovered they were being charged $0 for their journeys, paying only US$2.50 to $10 for airport Security Fees. One man snapped up six tickets to take his family from Chicago to Los Angeles for the weekend, paying just $60 in fees and no $2,400 airfare, a New Yorker booked a weekend away in Honolulu for the $10 in Security Fees and no regular $689 fare for the 8000km flight, and a quick-acting Houston woman a mere $5 Fees for a return ticket at Christmas to see her parents 2000km away in Washington DC – something that would normally have cost her close to $500. United won't say how many tickets it gave away in the 15 minutes before it discovered Thursday's error, which it said was a human mistake during loading of fares into its computer system. And in an unusual gesture of goodwill, rather than challenge those still holding tickets, the airline announced it would honour all tickets bought during the hiccup – irrespective of whether for travel in the short term, or for months down the track.